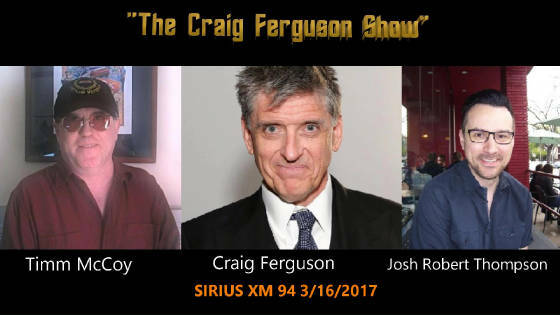 On this day of March 16, 2017 I, Timm McCoy, appear on "The Craig Ferguson Show" with Craig Ferguson on Sirius XM 94 Radio. Also, guest Josh Robert Thompson, my dear friend meet agin on the airwaves. It's 7 mins of weirdness and a good memory shared.